Caravan migrants reportedly attacked at makeshift shelter near US-Mexico border | We Seek the Truth! 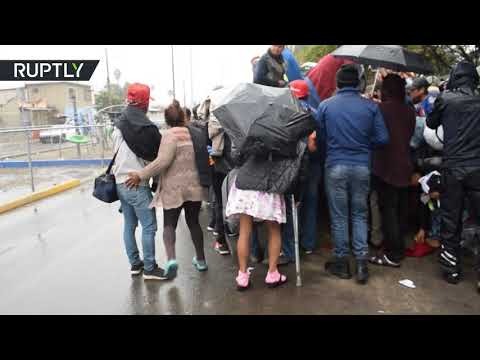 Central American migrants and volunteers were reportedly attacked outside the makeshift Benito Juarez shelter in Tijuana, near the US-Mexico border, on Wednesday. Migrants said that the attackers threw water, containers of urine & spat on migrants. Those who came to help added that police stopped them from accessing the area.